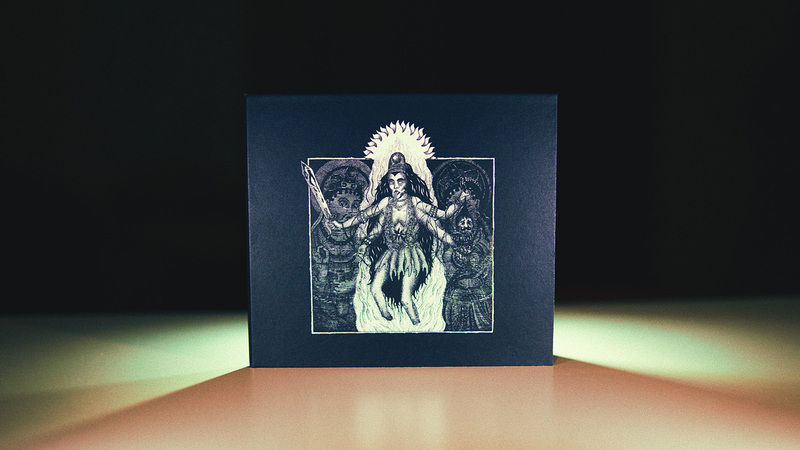 “Rudra Bhakti” is the debut album of DROUGHT, released by Avantgarde Music in april 2016 in digipak and vinyl formats. We took care of recording, mixing and artwork design for this extreme piece of music; mastering has been done by the mighty James Plotkin. These songs revolve around the transformation from man to The Übermensch (German for “Overman, Overhuman, Superman, Superhuman), through the purification of the fire and the metaphor of the warrior, mainly taking inspiration from parts of Vijnanabhairava as well as personal experiences of meditation. Fire is the main element manifested by Shiva, seen as a purifying factor and dissolving, regenerating and annihilating. In this case also seen as the awakening of a burning and dissolving energy, which brings chaos and destroys the boundaries of mortality to reach immortality.